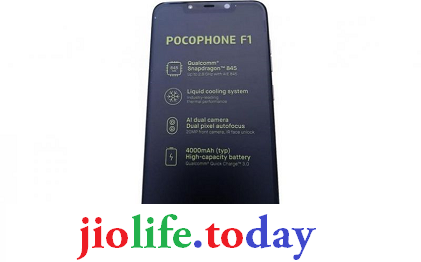 Poco F1, the first smartphone from Xiaomi's new sub-brand Poco, has launched in India. The brand is led by former Google executive and Xiaomi's Lead Product Manager Jai Mani, who unveiled the latest smartphone at an event in New Delhi on Wednesday. Xiaomi has announced three variants of the Poco F1 in the country and they come with up to 8GB of RAM and 256GB of inbuilt storage. The key highlights of the handset include a Qualcomm Snapdragon 845 SoC with LiquidCool Technology, a 6.18-inch display, 12-megapixel rear camera, and more. We already knew that the smartphone was exclusive to Flipkart and now other details like the Poco F1 price in India, booking process, and release date have been confirmed as well. 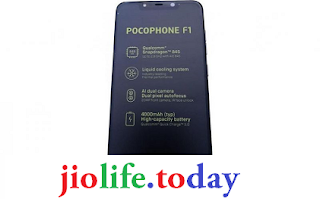 Interestingly, the price in India of all the Poco F1 models has been set in the sub-Rs. 30,000 segment. At the launch event, the company also announced the smartphone will be launched in Hong Kong, Jakarta, and Paris on August 27. The Xiaomi Poco F1 price in India starts from Rs. 20,999 for the 6GB RAM/ 64GB inbuilt storage variant. Meanwhile, the 6GB RAM/ 128GB inbuilt storage model has been priced at Rs. 23,999, and the 8GB RAM/ 256GB inbuilt storage model costs Rs. 28,999. The smartphone has a polycarbonate back and comes with Rosso Red, Steel Blue and Graphite Black colour options. Additionally, an Armoured Edition of the Poco F1 with 'real Kevlar' was also announced at the event, priced at Rs. 29,999. The online-only smartphone will be available via Flipkart and Mi.com starting from 12pm IST on August 29. Buyers in the first sale will get an Rs. 1,000 instant discount on HDFC Bank credit and debit cards. Other launch offers include up to 6TB of data from Reliance Jio, with additional benefits up to Rs. 8,000. A soft-case will be bundled in box. An ultra-slim hard case priced at Rs. 399 will also be made available alongside. A Kevlar finished Armoured Case will also be made available at Rs 799. The company is also launching its first 'official skins', priced at Rs. 299. Even though it is a new sub-brand, it is worth noting that the servicing of the Poco F1 will be done by existing Xiaomi service centres. The dual-SIM Xiaomi Poco F1 ships with MIUI 9.6 out-of-the-box based on Android 8.1 Oreo, though an MIUI 10 update is said to be coming soon. Also, the company has promised an Android P update as well. Xiaomi says that it is using a customised version of MIUI for the Poco F1, optimised for speed, called MIUI for Poco. Its appearance of the interface has been changed, including notifications, and the Poco launcher looks closer to stock Android's UI. There are also features like third-party app icon support. The company will also provide support for custom ROMs, and to aid this process, will release the kernel on Github starting August 29 as a beta download for non-Xiaomi phones. The Poco F1 sports a 6.18-inch display with 2.D curved Gorilla Glass 3 protection. The phone is powered by the Qualcomm Snapdragon 845 SoC that's been integrated with LiquidCool Technology. As mentioned, there are two RAM variants of the smartphone - 6GB and 8GB. In terms of optics, the Xiaomi Poco F1 features a dual camera setup. There is a primary 12-megapixel Sony IMX363 sensor with 1.4-micron pixel, dual-pixel autofocus at the back. It is the same sensor that Xiaomi uses in smartphones like Mi 8 and Mi Mix 2s. Additionally, the camera 5-megapixel secondary depth sensor from Samsung. The front 20-megapixel camera also has HDR and AI Beautify features, with an IR light that powers the Face Unlock feature. Xiaomi says that the AI camera is tuned especially for India, and has scene recognition features. The company is also touting Dirac HD Sound support, with a Dual Smart PA. The Poco F1 comes in 64GB/ 128GB/ 256GB inbuilt storage options, expandable via microSD card (up to 256GB) in a hybrid SIM slot configuration. Connectivity options in the smartphone include 4G+, VoLTE, Wi-Fi 802.11ac, Bluetooth v5.0, USB Type-C, 3.5mm headphone jack. Sensors on board the handset are the accelerometer, ambient light sensor, digital compass, gyroscope, and proximity sensor. Notably, the smartphone is fuelled by a 4,000mAh battery with 18W charging support and Quick Charge 3 (charger bundled in box).